I am really enjoying Throwback Thursday posts. It's really helping me to rediscover so many older nail polishes that I haven't been giving a lot of love. It's also helping rediscover some real gems when it comes to nail polish. Some of the polishes of yesteryear are pretty spectacular. This next one is a Milani I had completely forgotten about. 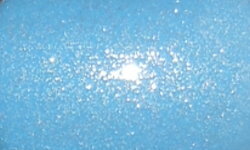 Beach Front is a baby blue creme packed with a micro silvery glass fleck glitter. Color: I'm wearing this color right now. This is a perfect spring blue. The color is vibrant and saturated. No, as a creme this wouldn't be original, but add that glass fleck glitter and it's one of kind. Formula: This formula was good and applied well. It was just the slightest bit thick, but I did not have any real trouble. Price: Fear not, you can still purchase this one. A search online will get you many different results from eBay or Amazon in the $5-$8 range. Overall: I'm so happy I rediscovered Beach Front. 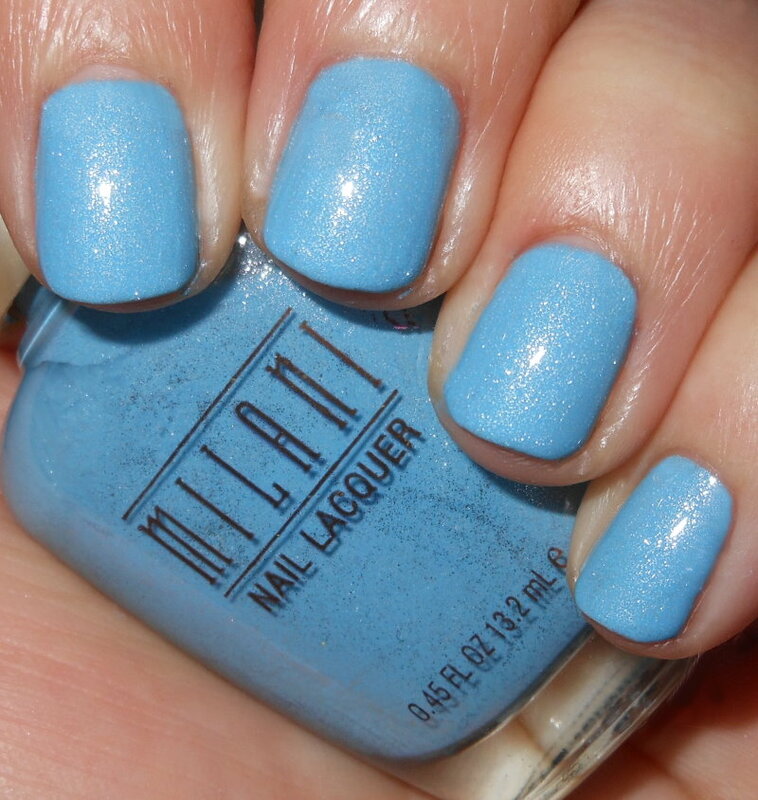 This a beautiful blue springtime polish, and probably one of my favorites from Milani! I think this is one many would like in their collection. This is such a beauty!! I wanted it for so long, got it, and it sits in my untrieds. Smh. Such a pretty shimmery blue this is. Love this! I keep buying lighter blues in search of that perfect one....maybe this is it! Beautiful!. I love that shimmer. I don't recall ever seeing this polish! It's so pretty, though!